Click on image to buy!! 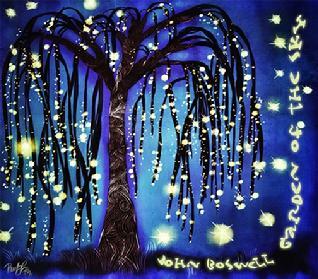 My Quiet Moon Records is proud to anounce the release of the long awaited solo piano recording from the highly acclaimed award-winning pianist John Boswell entitled "Garden of the Sky". John proves again that he is a master of melody with his evocative and emotionally satisfying piano solos. The music on "Garden of the Sky" will take you on a journey of feeling, reflection and inspiration. Click on links below to buy the CD from CDBaby or iTunes. My Quiet Moon Records is an independent label featuring high quality Contemporary Jazz, New Age and contemporary instrumental music which will make your spirit soar and your heart full with inspiration. The music you will hear on any My Quiet Moon release is guaranteed to make you "feel alive". We put the artist in the driver's seat, so what you hear is exactly what the artist intended. It is a very exciting time here at My Quiet Moon Records, and you are invited to return soon for upcoming releases and events. The 2004 release of David Boswell's "Hold Tight To Your Dreams" CD helped set the stage for the new music record company - My Quiet Moon Records - followed by the release of "Bridge Of Art", "I Like That" and the award winning 2012 recording "Windows" which proves Boswell to be an artist to look out for. Storyboard Trio's release of their debut CD "Hello" in 2014 expanded the roster with the melodinc jazz-rock influence. The 2014 release of award winning pianist John Boswell's long awaited solo piano recording "Garden of the Sky" has brought My Quiet Moon Records into a new and exciting territory. John creates a wonderful soudscape which takes the listener on exciting journeys with his beautiful solo piano compositions. We're so proud to have John on the label. Click on image at right to go to artists' websites.